If you are looking for a powerful and safe probiotic to boost your digestion, immunity, and overall health, you probably know you need a complex formula, with several strains, like Sedona Labs iFlora Multi-Probiotic. It is difficult to say how many strains make a good probiotic and what strains are best. The supplements industry is not regulated, so companies are free to claim anything, and use whatever strains they have access to and in the concentrations, they find appropriate. You can’t even say if the product actually contains the ingredients listed on the label, so the manufacturer’s credibility and reputation are of utmost importance. How reliable is this manufacturer, and how promising is their product? Let’s find out! Since the apple does not fall far from the tree, let’s look at the tree first. Sedona Labs seems to activate under several names, Nutri-Health Supplements LLC being one of them. It has around 30 years in the business, and an A+ rating with the Better Business Bureau, even though they had 6 complaints registered over the years. They produce their supplements in-house, and they claim their facilities have FDA, GMP, and ISO 9001 certifications. They also have their products tested in an independent facility, to ensure compliance with the highest quality standards. This is definitely more than other supplement companies can take pride in. Sedona Labs iFlora Multi-Probiotic is a daily use formula promising to improve digestion, regulate bowel movements, support the immune system, and alleviate diarrhea, constipation, bloating, and gas. All users need to do in order to enjoy these benefits is take 2 capsules a day. When necessary, the dosage can be increased to 4 capsules. One bottle contains 60 capsules and should cover one’s needs for at least 15 days, 30 at most, depending on the dosage. Each capsule contains 16 billion live cells, so one serving delivers 32 billion. There are supplements that promise up to 100 billion per serving. Sedona Labs iFlora Multi-Probiotic contains 16 bacteria strains, the most popular in their genera, bifidobacterium, lactobacillus, and streptococcus. Some specialists say 16 strains are too many, but others assure diversity is beneficial, especially in supplements targeting general health, and not a particular health problem. The manufacturer guarantees the viability of these bacteria strains only at manufacturing. It would have been nice to see they trust their delivery system until expiration, as this limited guarantee means many of the strains could die until ingestion. 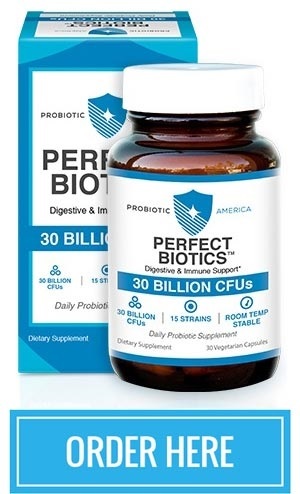 However, LabDoor tests showed that Sedona Labs iFlora Multi-Probiotic has an even higher CFU count than the label mentions, and it only contains the listed ingredients. Too bad the product label doesn’t mention the quantities for each ingredient, but this is an issue with most probiotics out there. The good part is that the probiotic blend comes with a prebiotic backup, in the form of NutraFlora short-chain fructooligosaccharides. This fiber’s purpose is to feed the probiotic strains and help them finalize their journey to the intestines, settle, and spread. The Sedona Labs iFlora Multi-Probiotic capsules are made from water and cellulose, and the symbiotic blend receives its texture from pregelatinized starch, calcium silicate, microcrystalline cellulose, and colloidal silicon dioxide. They are smaller than many probiotic capsules on the market and easy to swallow, but taking 4 of them could become a problem in the long run. What we can’t know for sure about these capsules is their allergenic potential. Neither the label nor the official website says anything about allergens. There is no mention of whether the probiotic cultures were raised in milk, soy, or some other substances. The manufacturer does not warn of allergens but does not deny their presence either. Judging by the LabDoor test results, Sedona Labs iFlora Multi-Probiotic shouldn’t contain any traces of milk, eggs, soy, shellfish, etc., but you may want to consult your doctor before taking them, especially if you suspect an allergy to starch. The only warnings regarding this supplement’s safety target women who are pregnant or breastfeeding, children, and anyone on subscription meds. The manufacturer does not mention any side effects, but several users report to have experienced severe stomach pain, bloating, nausea, and diarrhea. To avoid them, you may want to start with just one capsule a day and increase the dose gradually, when you are sure it is safe. Beginning treatment during the weekend or your days off could help as well, as you can at least stay in bed until the side effects fade. It is encouraging to know that there are no special requirements as far as storage is concerned. You can keep your bottle of Sedona Labs iFlora Multi-Probiotic at room temperature, and take it with you when traveling. Just make sure you protect it from sunlight and moisture. Unfortunately, from here on, things get a little confusing. The manufacturer does not sell the supplement directly to users, but only to retailers. This could be the reason why they don’t offer guarantees. It also means you should choose your retailer carefully. The official website lists the price of $29.95, and it seems many of their authorized retailers embraced it as well. Depending on the supplier, and on whether you decide to take 2 or 4 capsules every day, your costs will range between $1 and $2 per day. Under these circumstances, it is difficult to label Sedona Labs iFlora Multi-Probiotic as affordable or expensive. The verdict will obviously depend on the required dosage and on how effective the supplement proves. 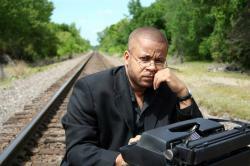 Unfortunately, the manufacturer does not offer any guarantees for its effectiveness or for the clients’ satisfaction. You may be able to get some money back guarantee from some of the retailers, but it is up to you to check their product return policies. Even so, you stand to lose the costs for shipping and handling, perhaps even a restocking fee. As mentioned above, this product contains a combination of probiotics and prebiotic, no less than 243mg per serving. The probiotics come from 16 strains, while the prebiotic is a short-chain fructooligosaccharide patented under the name of Nutraflora. Other ingredients are pregelatinized starch, calcium silicate, microcrystalline cellulose, colloidal silicon dioxide, water, and cellulose. To understand how Sedona Labs iFlora Multi-Probiotic works, let’s review the basic health benefits each strain provides. Bifidobacterium bifidum – It breaks down sugar and fiber, and synthesizes vitamins K2, biotin, and B12. It adheres to the intestinal lining and facilitates the adherence of other good bacteria as well, stimulating the immune system, and reducing the incidence of flu and cold. Bifidobacterium breve – The numerous studies focusing on this strain proved its beneficial influence on colon health, gas, bloating, constipation, diarrhea, and infections with Candida, E. Coli, and C. difficile. They also confirmed its ability to boost immunity. Bifidobacterium infantis – This Sedona Labs iFlora Multi-Probiotic strain inhibits pathogens like C. difficile, and E. coli, improving gastrointestinal health, reducing bloating and gas, improving lactose digestion, and stimulating immunity. Bifidobacterium lactis HN019 – It has valuable waste breakdown abilities while boosting immunity, regulating cholesterol, boosting digestion and vitamin and mineral absorption. Its power to inhibit tumor growth has not been proven yet. Bifidobacterium longum – It has the power to relieve stress-related gastrointestinal discomfort, attenuate anxiety, reduces colon cancer risks, and calms irritations. Lactobacillus acidophilus – This strain treats antibiotics, rotavirus and traveler’s diarrhea, irritable bowel, baby colic, children’s lung infections, and vaginal infections. It also alleviates lactose intolerance, Crohn’s disease, acne, and cold sores, and lowers cholesterol and cancer risks. 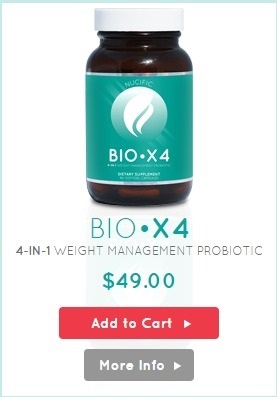 Lactobacillus brevis – This strain’s resistance to antibiotics helps Sedona Labs iFlora Multi-Probiotic maintain gut microbiome health and fight pathogens. Lactobacillus bulgaricus – It is very beneficial for health, boosting immunity, and treating a series of conditions, from leaky gut and IBS to diarrhea and nausea. It also decreases cholesterol, improves oral health and digestion, and relieves dyspepsia, HIV symptoms, and inflammations. Lactobacillus casei – It works great on its own, but even better when combined with the other strains in Sedona Labs iFlora Multi-Probiotic. It is one of the most helpful strains for gastrointestinal issues, working well both on its own and combined with other strains. It relieves constipation, and antibiotics and infections diarrhea, it boosts weight loss and insulin resistance and alleviates inflammations. Lactobacillus gasseri – This strain is a valuable weight loss adjuvant, stimulating the metabolism. Other health benefits include cholesterol and allergy control, asthma symptoms relief in children, menstrual pain alleviation, and enhancement of H. pylori treatments. Lactobacillus paracasei – This Sedona Labs iFlora Multi-Probiotic has a high weight loss potential, reducing fat storage and improving digestion. It also alleviates abdominal cramps, gas, bloating, antibiotics side effects, and intestine irritations, and it inhibits streptococcus mutans and other pathogens, improving oral health. Lactobacillus plantarum – It balances gut flora, boosts digestion, and vitamins and minerals absorption, and synthesizes L-lysine and other nutrients. It also reduces bacteria translocation, prevents infections with C. difficile and other pathogens, relieves antibiotic side effects, and reduces colorectal cancer risks. Lactobacillus rhamnosus – This Sedona Labs iFlora Multi-Probiotic strain has valuable psychological benefits, lowering depression and anxiety and improving mood. Not only does it strive in acidic environments, but it also prevents weight gain, diabetes, IBS, allergies, low immunity, and urinary infections. Lactobacillus salivarius – Few strains provide the valuable benefits this one brings about. They range from gastrointestinal problems relief (antibiotics diarrhea, lactose intolerance, IBS, etc.) to cholesterol and blood pressure control, and dental health improvement. Lactococcus lactis – This strain inhibits spoilage bacteria and fungi while protecting the mucosa against HPV, HIV, malaria and many other non-respiratory pathogens. Streptococcus thermophilus – This is one of the most effective pathogen-inhibiting strains, treating various respiratory infections, boosting immunity, alleviating bowel irritation, and treating colon problems. Judging by the list of ingredients, this supplement should not pose high allergy risks. Unfortunately, the manufacturer does not say anything about the environment the probiotics are grown in, or about the risk of contamination with other substances processed in the laboratory. There are also no vegetarian or gluten-free certifications available. If you are allergic to starch or you have other allergies that could be triggered by the listed ingredients, your best option is to ask for a doctor’s opinion. When (if) you begin treatment, take just one capsule a day, and increase gradually, when you are sure the product is safe. As mentioned above, 60 probiotic capsules cost $29.95. Depending on whether you take 2 or 4 capsules per day, your daily costs will range between $1 and $2, without even counting shipping. This indicates a rather expensive supplement, one that should work some real miracles for your health in order to be worth the price. Although the manufacturer does not say anything about side effects, we found several user reviews complaining about severe stomach pain, gas, bloating, and diarrhea. To avoid them, or at least avoid disrupting your schedule, begin your Sedona Labs iFlora Multi-Probiotic cure with a lower dose, and during the weekend, when you don’t have to go to work. Unfortunately, Sedona Labs chose not to stand by their product, so they offer no refunds. It could be due to the fact that they only sell their products wholesale, so check the retailer’s policy before buying. Where to Buy Sedona Labs iFlora Multi-Probiotic? The product is only available through 3rd party retailers, so we recommend choosing one authorized by the manufacturer, like LuckyVitamin or Vitacost. As always, the decision is yours, because you’re the one paying the price. If you’re after a daily use symbiotic, with several strains on board, and a reputable manufacturer to back it up, this could be it. The company has a couple of decades of existence, they produce their supplements in FDA certified laboratories, and most of their products are highly rated. Sedona Labs iFlora Multi-Probiotic could make a great choice if you think you can put up with some stomach discomfort on the first days of use, and you don’t mind risking $30 for a month’s worth of probiotics, but forget about it if you can’t afford to use it in the long run. Be the first to comment on "Sedona Labs iFlora Multi-Probiotic Reviews"